Champurrado is Mexico’s answer to hot chocolate. There’s this place in Mexico City where my suegro loves to eat. It’s a little family-owned restaurant called Merendero Las Lupitas, and he’s friends with the owner. Las Lupitas is situated on a corner in Coyoacán facing the Plaza Santa Caterina, in a two-story white building with these beautiful, dramatic thick cobalt blue accents around the windows. They have a heavy, rustic wooden door, and inside there’s colorful papel picado strung across the ceiling. Lots of local art adorns the walls. What I love about this place is that it’s so traditional. The menu is pretty basic and the atmosphere emits a feeling like you’re eating in a relative’s home. Even the placemats, dishes and furniture are very modest. But don’t be fooled by all the simplicity–each dish on the menu packs as much satisfaction as that of a fancy restaurant, minus the attitude and the cost. Among the number of delicious, traditional items on the menu there, my suegro almost always orders a mug of atole at the end of his meal. Atole is a hot drink, made with a nixtamal (corn) base from dissolving masa in water, sometimes with piloncillo, and heating until it becomes thick. It’s a stick-to-your-ribs type drink that’s guaranteed to keep you warm. It can come in many flavors; vanilla, chocolate and strawberry are most typical. You can usually find quickie versions in a powdered packet in the grocery store, and they taste OK if you’re in a bind and can’t make the real deal. But the packets typically use powdered cornstarch as a thickening agent, so they lack the depth and flavor produced by using real masa as the drink’s base. 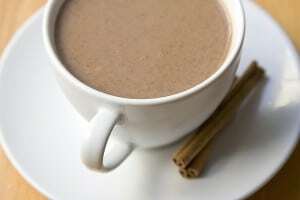 The chocolate version is called atole de chocolate or champurrado. 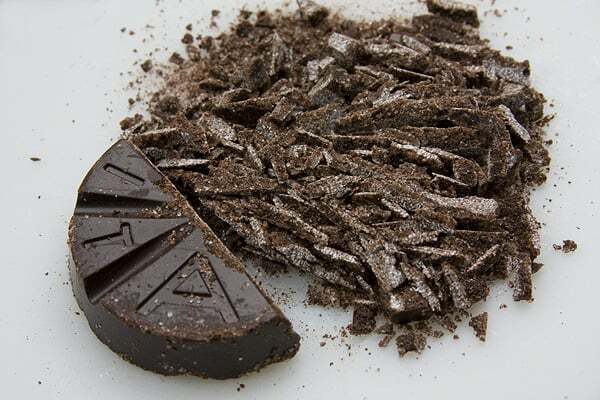 The basic steps of this recipe–minus the chocolate–can be used as a base to make plain atole (sometimes also called atole de vainilla; just add a teaspoon or so of vanilla extract). It is also the base for atole de fresa. There are two different ways I make champurrado at my house: the easy way and the hard way. This recipe is for the easy way. The more difficult method (a recipe taught to me by a friend) involves actually roasting cacao beans and grinding them in with the masa to get a more earthen chocolatey flavor. We’ll save that for another day. In the meantime, this recipe is plenty good, and reminds me of the down-to-earth style of Las Lupitas that our family has grown to love so much. A note about my method for juicing the masa: I like to use thin-ply Gerber cloth diapers rather than cheesecloth because they strain more effectively and with much less mess. In addition, you can wash and reuse them because they’re much sturdier than cheesecloth. How to dissolve masa in water to make atole. How to juice masa for atole. 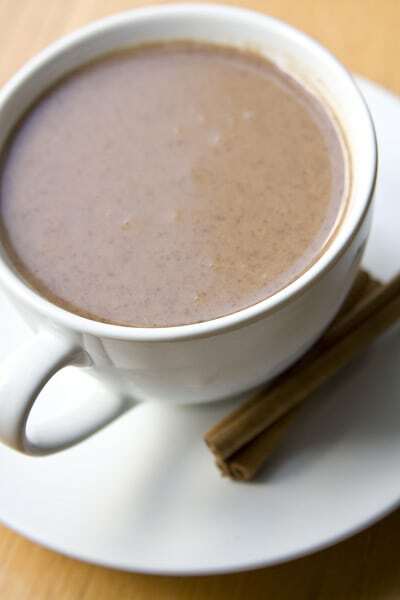 How to make the classic Mexican chocolate atole known as champurrado. Measure out 6 cups of warm water into a large bowl. Submerge the masa and using your hands, dissolve the masa in the water until the water is cloudy and the dough is completely incorporated. Over another large bowl, preferably deeper rather than wider, lay the cheesecloth or diaper cloth across the top of the bowl. I know you must be thinking I’m kidding about a diaper cloth–a friend taught me about this trick & I’ve never used cheesecloth since. The diaper cloth is a much cleaner method and I personally prefer it because you can wash them out and reuse them; the cheesecloth doesn’t strain as finely, makes more of a squirting mess and shouldn’t be reused. The diaper cloths I like come in a 12-pack from Gerber. 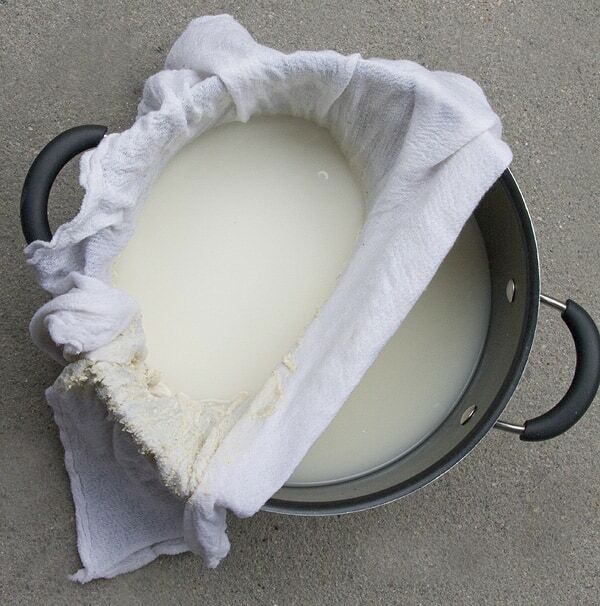 Again, I know it sounds weird and at first, I was skeptical when a friend shared this method with me, but trust me, it causes minimal mess compared to the cheesecloth. 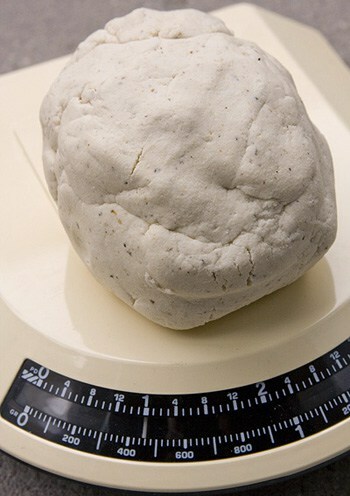 While holding the cloth in place, pour about one-third of the dissolved masa water into the cloth. Bring the ends of the cloth together to close it at the top and gently massage the bottom of the cloth to strain the water through. Be careful not to squeeze too hard because the water will squirt. Repeat until you’ve poured all the masa water through the cloth. Once you’ve massaged the cloth so there’s no more water but still some clumps of masa, squeeze the cloth well to get any remaining water out. Discard the remaining masa from inside the cloth and pour the water into a deep pot. Place the pot over a medium flame and add the piloncillo (you can chop or grate the piloncillo before adding if you like), stirring with the molinillo or wooden spoon until it dissolves. Add the cinnamon once the piloncillo is incorporated. Constantly stir the water; as it heats, it will start to thicken. If you don’t stir enough, depending on the masa you used, it can start to get clumpy–which you don’t want. You will know the atole is thick enough to add the chocolate when the liquid leaves a coating on the back of your wooden spoon. Add the chopped chocolate and stir well with your spoon or molinillo. Add the milk, stirring constantly. If desired, add a little raw cane sugar to sweeten. Remove from heat and let cool slightly; ladle into mugs. *Either pre-made masa purchased from a tortilleria or homemade will work; if making at home using a masa harina product like Maseca, prepare to directions on packaging before proceeding. If you buy masa harina for home use, be sure you buy the one for making tortillas–not the one for making tamales. 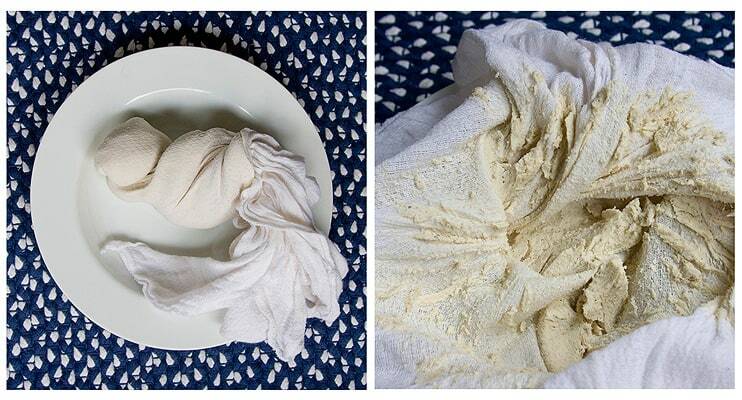 If you’re really ambitious, you can grind your own nixtamal to make masa. I typically buy mine straight from the tortilleria. Delicious, simply delicious. Your picture made me want a cup of champurrado, and your step-by-step. Great! Our “atole” is rice boiled for a long time and sprinkled with salt. It is fed to children who are not feeling up for solid food. The more delicious version is the “arroz caldo”— we have a lot of shops selling those in my hometown. This post has made me extremely hungry! Congrats on getting Freshly Pressed. @MauraHernandez Did I hear champurrado!? Oh, you’ve got my attention. @MauraHernandez that looks tasty for sure… if I had masa I might think about it. Right now I just want chocolate caliente. I enjoy a very simple version using blue corn (toasting it slightly gives it a unique taste). I then boil it with chocolate abuelita (sold already ground) and enough water to thicken. Mix in a splash of milk before drinking. This is satisfying but your version makes my mouth water. Nikki, thanks for the comment with your method. I love blue corn but have never had it in an atole before. In fact, I haven’t seen blue corn at any of my markets that I can recall, which is a shame because I’d love to make homemade blue corn tortillas. I’ll definitely have to try your version as soon as I can find blue corn! I’ve never seen this method before. Masa preparada huh? Curious to try it now. Stephanie, which method are you used to using? This isn’t the only one I know, but it’s the one I like best. Would love to hear what method(s) you use instead. I mix about 1/4 cup masa harina with 4 cups milk. Sometimes I’ll use 3 parts milk 1 part water. Bring to a low boil and add cinnamon, piloncio, and the chocolate. Simmer until everything melts while constantly whisking. Continue cooking another 5 minutes or so then turn off the heat. Continue stirring until it has stopped simmering. Cover and let it rest 10-15 minutes. Thats the only method I knew of. I love that about the blogsphere. Finding other bloggers that enjoy sharing their recipes, ideas, and thoughts with each other. I’m such a late bloomer and still trying to find my way around but its ok. Just making new friends has been rewarding enough. Guadalupe, you can add the cinnamon at the same time as the piloncillo or just after it’s dissolved.